Water pollution is a really big environmental problem. For one, the pollution in our large bodies of water ends up endangering the lives and ecosystems of the fish and other creatures that live down there. Apart from that though, water pollution can hit closer to home than you think. For instance, stormwater pollution. This is when various forms of water move over certain dirty things like dirt, oils, fertilizers and more. When it goes into the sewage system, all these dirty water travels are taken out in rivers and other bodies of water. Since it is not filtered, all that dirt can come back to hurt us eventually. One other source of water pollution is one that people aren’t that familiar with. It is called algal blooms and is something that happens within the water itself. 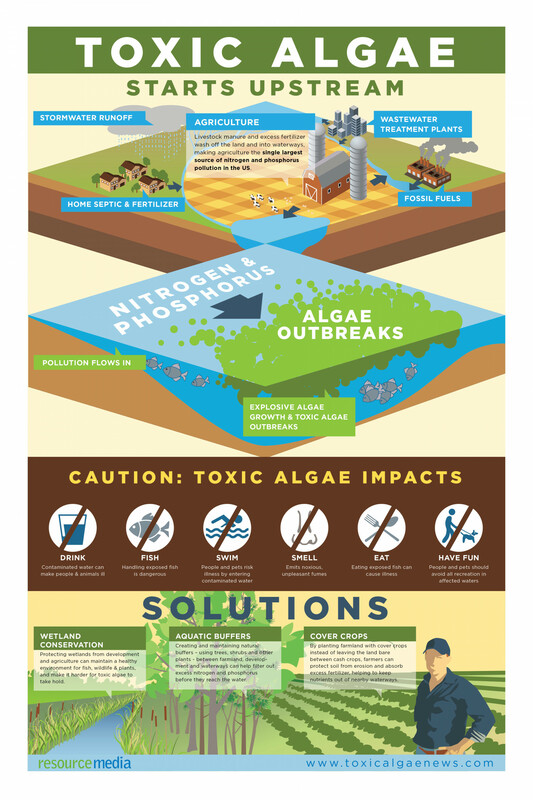 This article will explore what exactly algal blooms are and what we can do to prevent it. Algae is a natural plant that grows underwater. Think about it as seaweed. Now, when these algae start growing to unthinkable or unreasonable numbers (when they bloom if you will), this creates a problem for the water. Algae population can grow at a rapid pace when an excess of nutrients makes its way into the water. The problem is that algae use dissolved oxygen. When they use too much of it, this creates a problem for the fish under the sea. Algal blooms by themselves aren’t all that harmful. However, they can get to a certain stage that makes it deadly for other organisms and animals. They can also create a giant toxic blanket that covers parts of the sea for years. This isn’t a concern only for aquatic life though. When algal blooms start affecting organisms that eventually end up in people’s mouths – like fish and oysters – it can lead to several illnesses. Symptoms may range from numbness to even being paralyzed for a long period of time, and even death. What is the Real cause of Toxic Algal Blooms? The thing about this is, no one really knows what causes toxic algal blooms. Algae itself is affected by certain factors of nature. Things like the sun, how hot or cold the temperature is, the levels of nutrients in the water, and more. With these in mind though, scientists and researchers have still not been able to pinpoint the actual combination of these factors for toxic algal blooms to be present. Be that as it may, there are still things we can do to prevent its growth. These include things like handling fertilizer carefully. If you are near a water source, be careful that the fertilizer doesn’t get in it. Apart from that, if you are near a water source, don’t use soap near it. Whether its organic soap or not, it is much the same. Instead, get water from the source and place it in a bucket. Wash elsewhere. Let’s all do our part in battling toxic algae blooms.